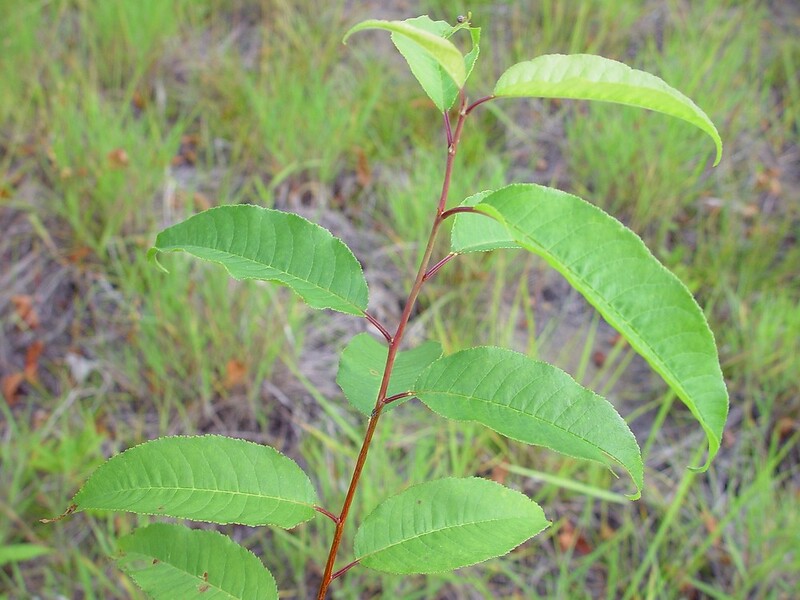 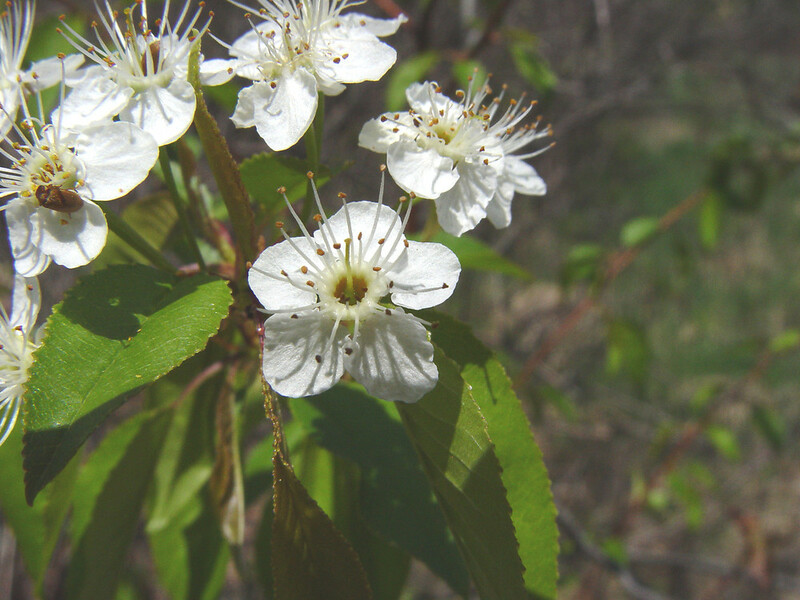 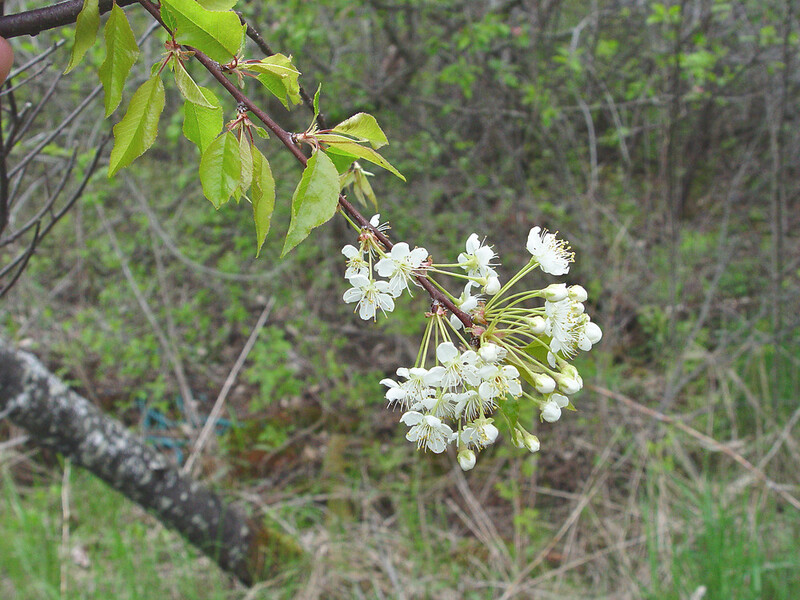 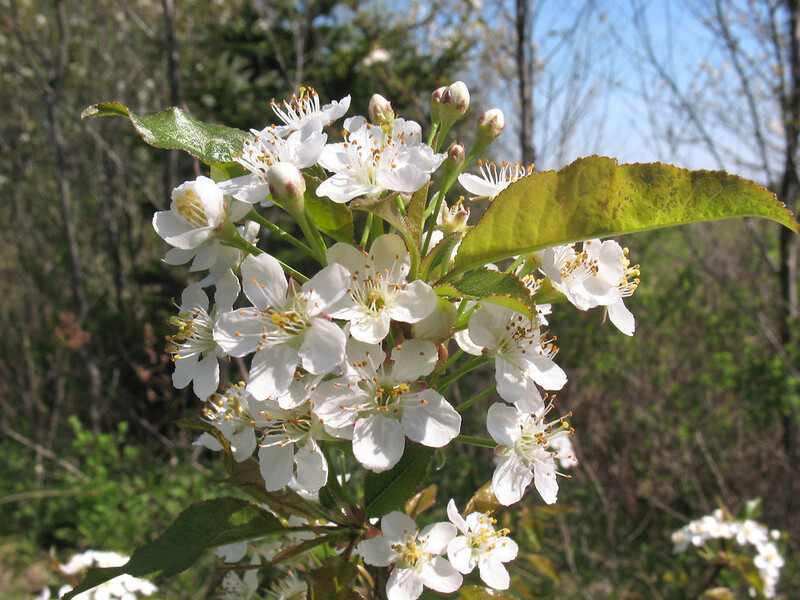 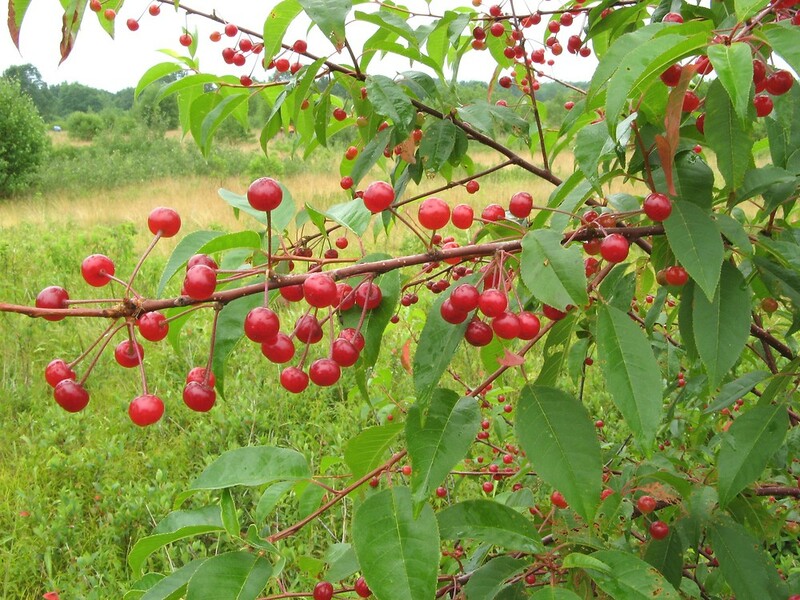 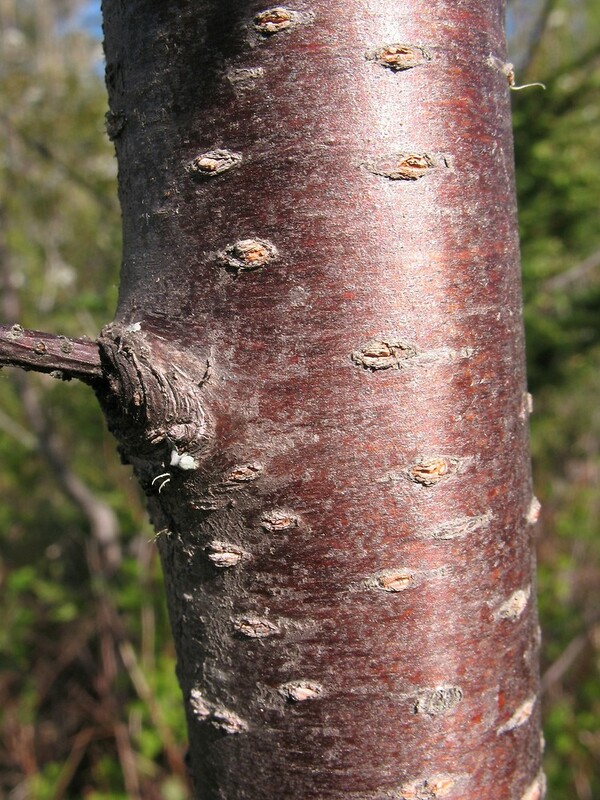 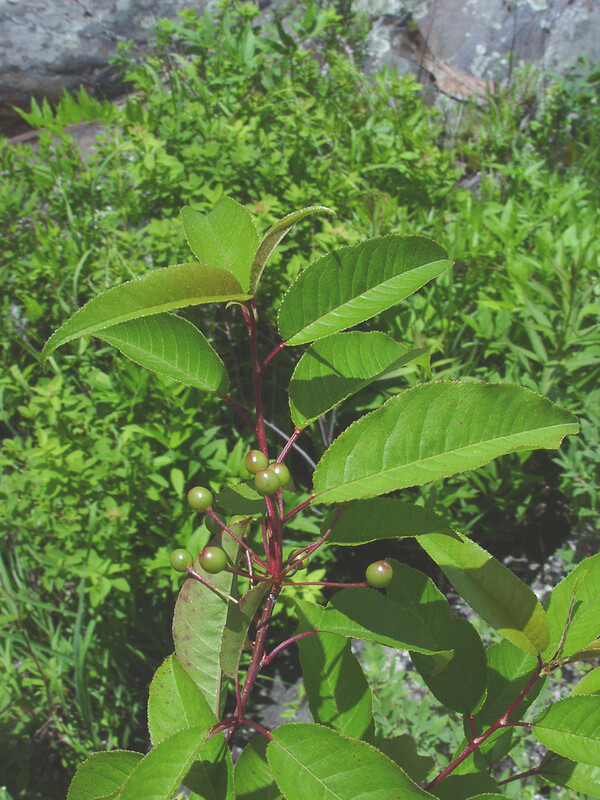 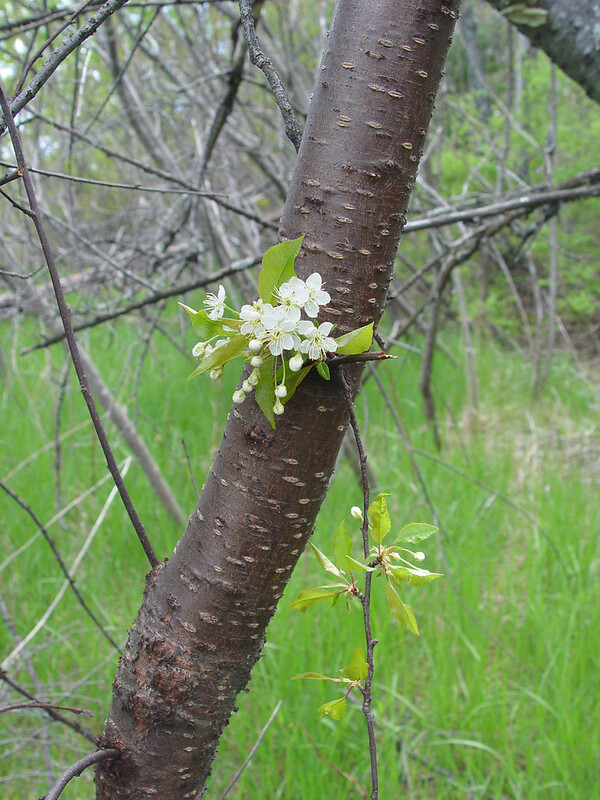 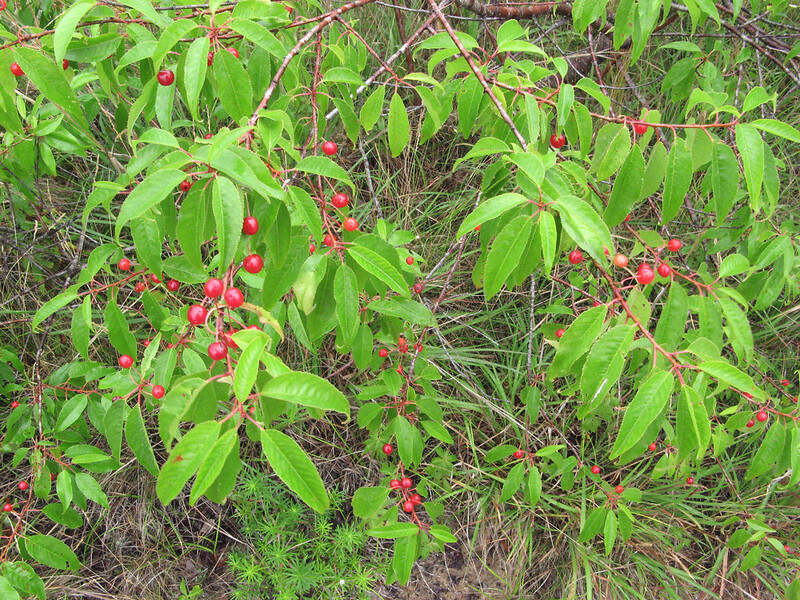 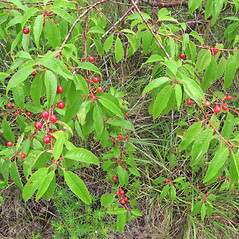 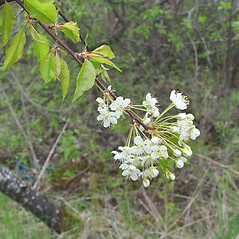 Pin cherry colonizes rapidly following a clearcut, fire, or abandonment of mining. 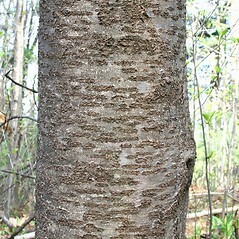 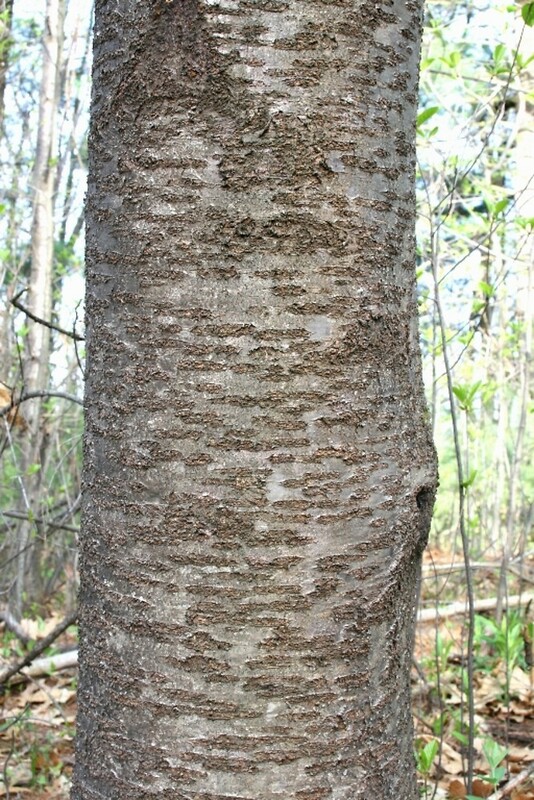 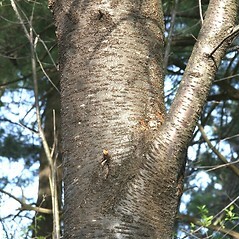 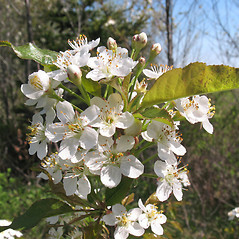 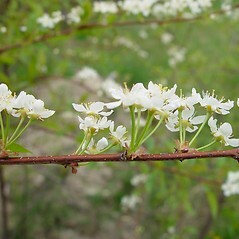 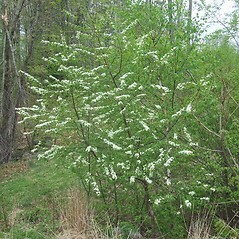 Nearly pure stands of this tree explode with small white blossoms in early spring, carpeting whole hillsides in white. 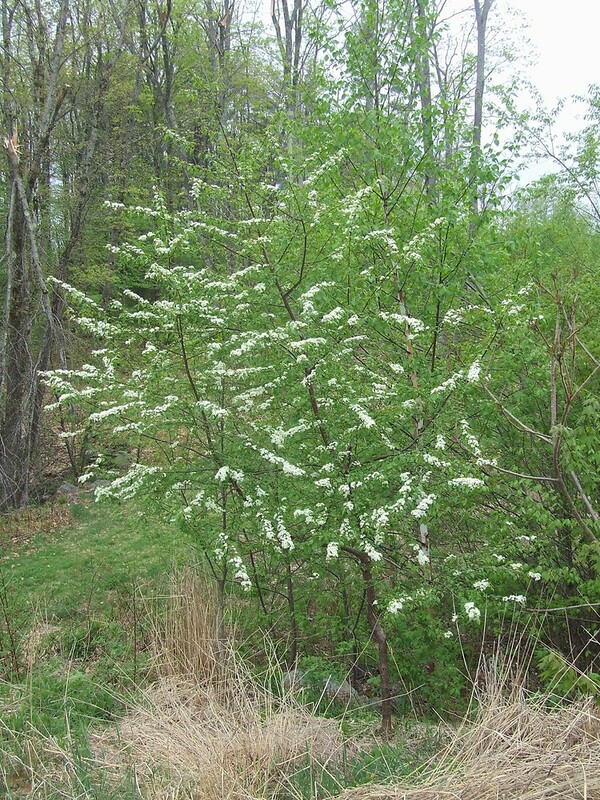 This early-successional and very hardy species is most valuable for stemming nutrient and water loss from newly cleared sites. 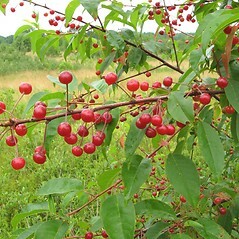 Its abundant fruits are consumed by dozens of bird species. 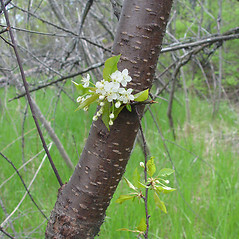 flowers 25-40 mm in diameter and fruit 15-25 mm in diameter (vs. P. pensylvanica, with flowers 10-15 mm in diameter and fruit 5-7 mm in diameter). 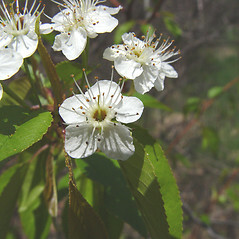 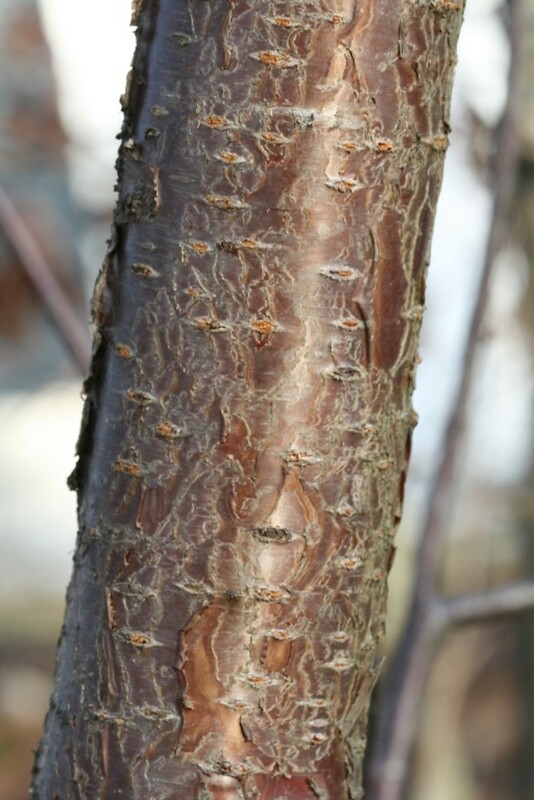 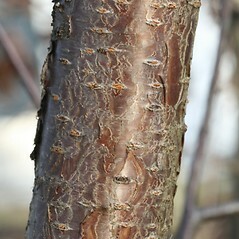 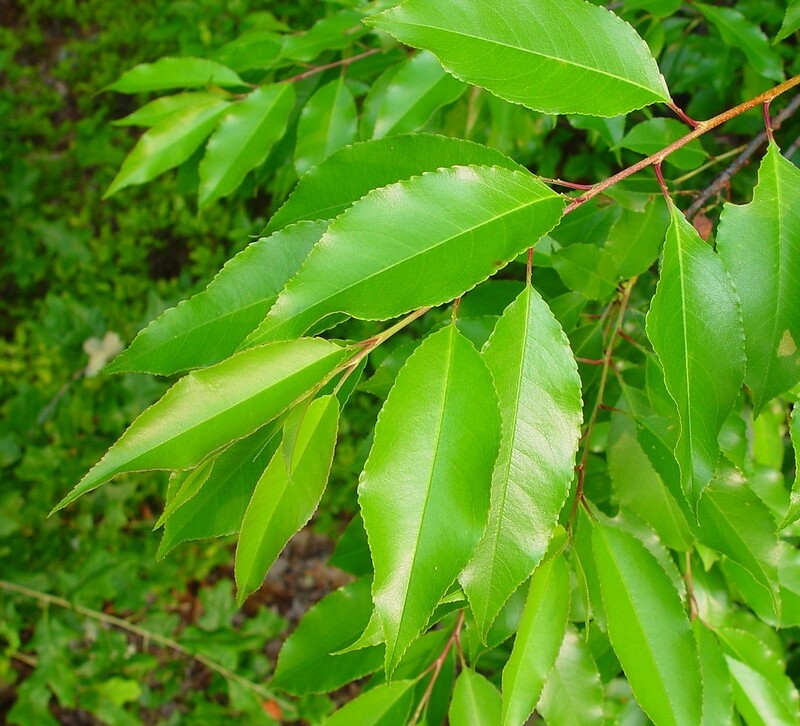 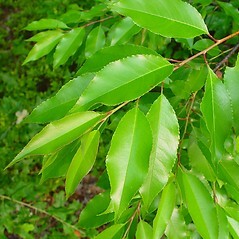 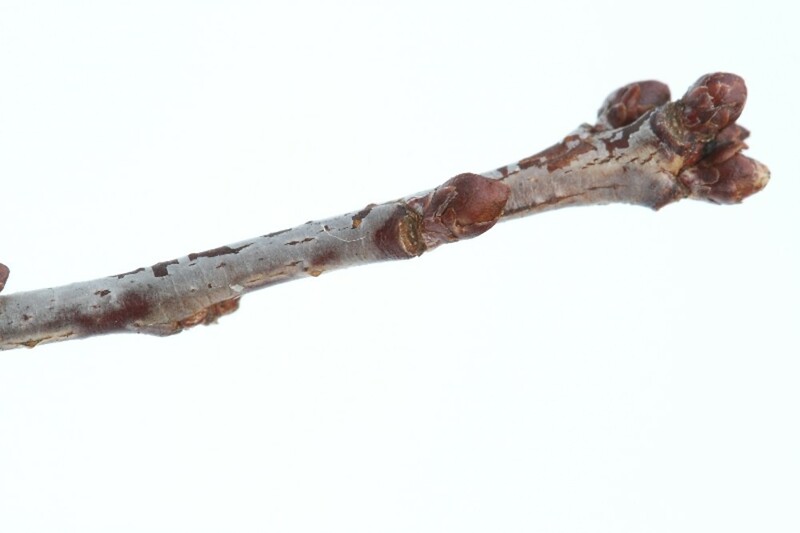 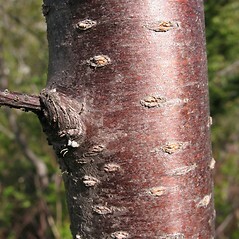 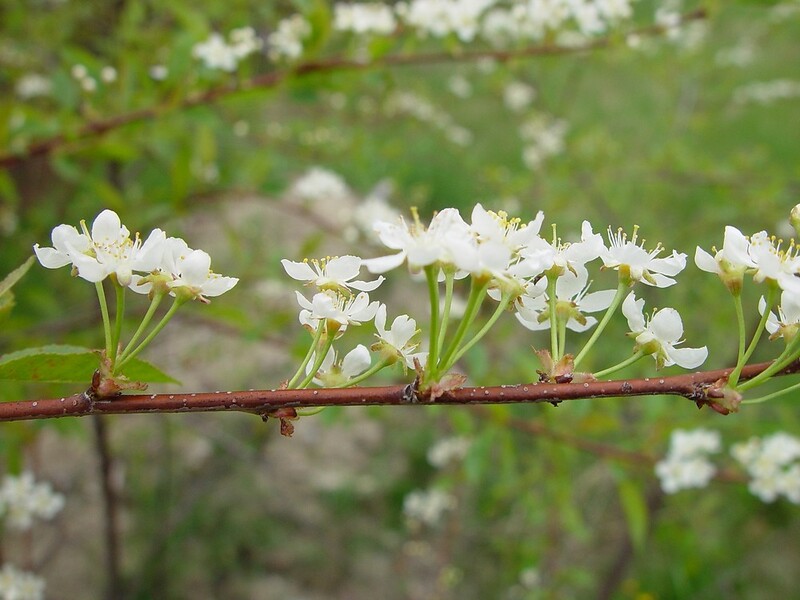 Our variety is Prunus pensylvanica L. f. var. 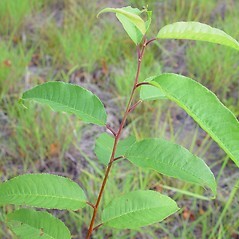 pensylvanica. 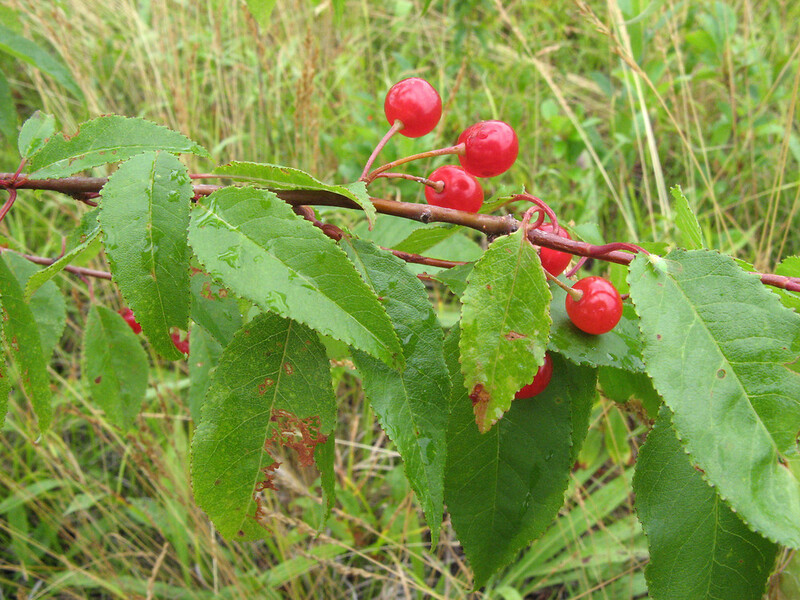 pin cherry. 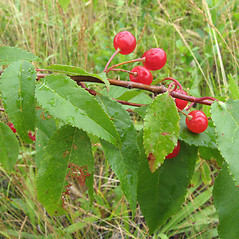 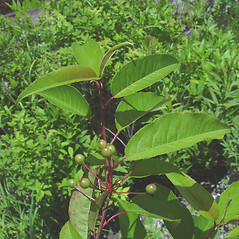 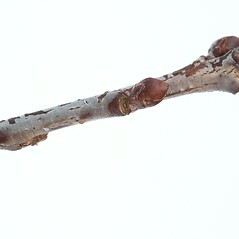 Cerasus pensylvanica (L. f.) Loisel. 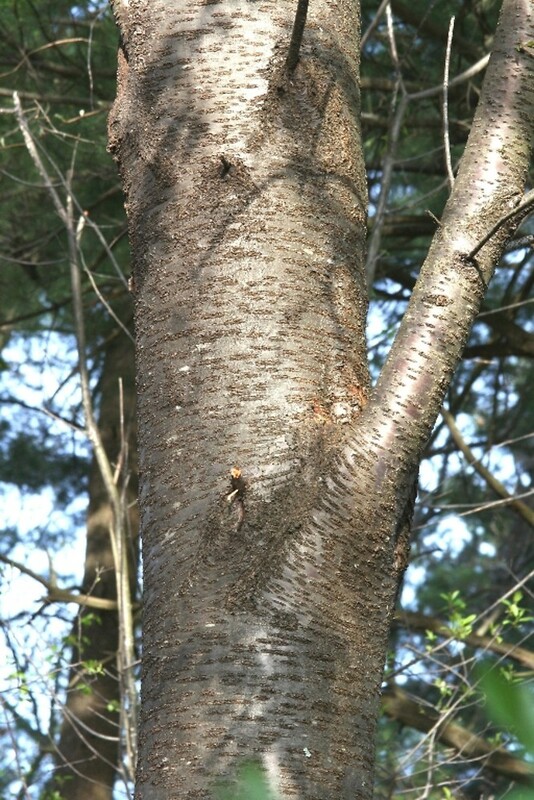 • CT, MA, ME, NH, RI, VT. Woodlands, forest borders and clearings, logged areas, roadsides, successional fields, waste areas.